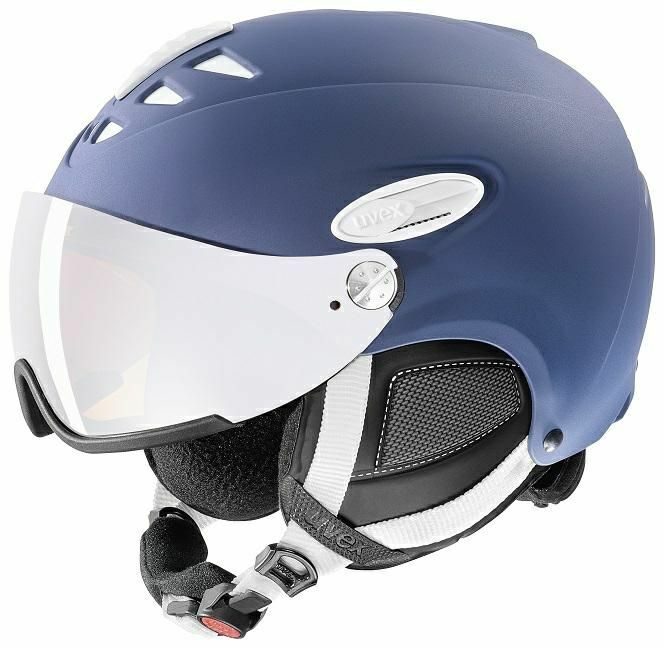 The uvex hlmt 300 visor ski helmet combines perfect styling with great functions. The shield of the uvex hlmt 300 ski helmet can be moved upwards and out-of-sight with seamless effort. Additionally, the mirrored lenses ensure protection from glaring sunlight and harmful infrared rays. The all- weather shield gold lite improves the contrast significantly with extreme light conditions. In combination with the litemirror lens, this visor complies with the safety classification S3.